The beautiful island of Antiparos also known as Oliaros island is a small inhabited island in the southern Aegean, at the heart of the Cyclades, which is less than one nautical mile from Paros, the port to which it is connected with a local ferry. Saliagos island is the most ancient settlement in the Cyclades, and Despotiko, an uninhabited island in the southwest of Antiparos, is a place of great archaeological importance. 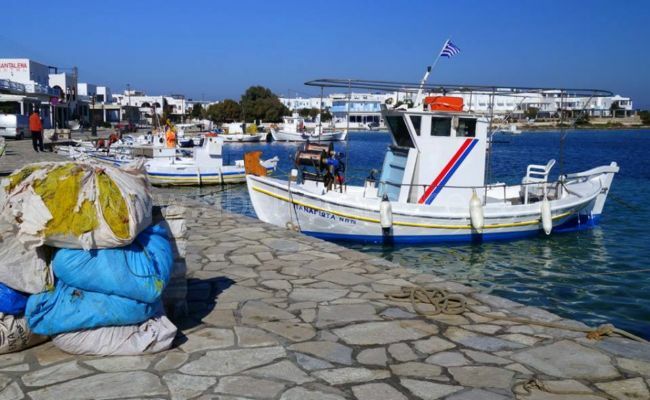 The Community of Antiparos was founded in 1914 and was promoted to a municipality in 2010 with the implementation of the Law “Kallikrates”, under the principle of” each island and a municipality”. 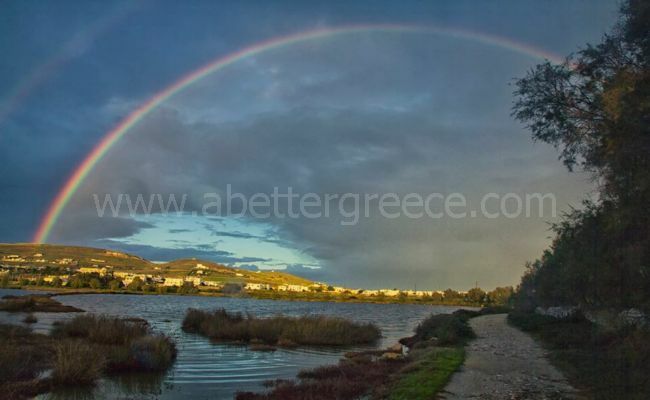 It occupies an area of 34.8 square kilometers, including the island of Antiparos and Despotiko. It has, according to census 2011, 1.037 permanent residents and a density of 29 inhabitants per km². The island’s economy is based on tourism, fishing, farming and less on agriculture in the plains. It is known for its distinctive Cycladic beauty with white houses, cobbled streets and beautiful flowers that thrive in the yards of the houses. It is a popular tourist resort in the summer for Greeks and European visitors, as well as land investors from the U.S.A. The main settlement lies at the northeastern tip of the island across Pounda of Paros. 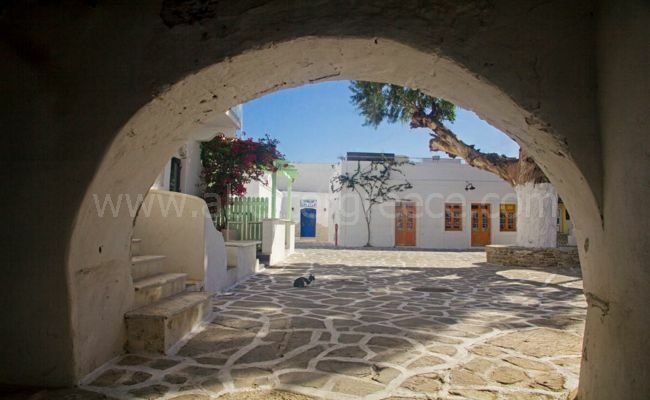 The historical center is located in the Venetian castle of Antiparos, which is connected through the shopping streets in the picturesque coastal street. Other settlements are the famous resort of St. George in the southwest edge, Soros and Kampos and popular beaches in the wider area of the center are Psaralyki, the Sifneiko and the camping beach. Antiparos is only 30 minutes by small passenger only ferry from Paroikia or just eight minutes with a car ferry from Pounda (take a look at the map of Paros) which runs every half hour from dawn to after midnight. That makes it an island which you can actually treat as a dormitory for much busier Paros. With frequent ferries (including the late ones via Pounda) you can even eat out in Paros and return to Antiparos for the night; or you can cross to Paros after breakfast, spend a whole day exploring (perhaps by car or scooter) and regain the friendly peace and pace of Antiparos the same evening. 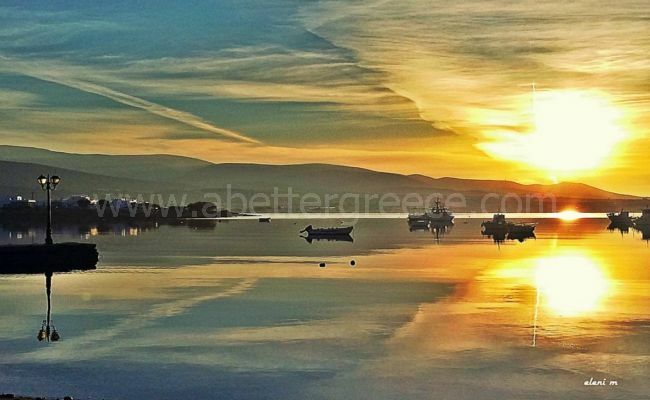 If you insist on spoiling yourself, you can hire a car on Paros and drive back to Antiparos every night! The water-sports facilities at Pounda on Paros are actually closer to Antiparos, being eight minutes away by ferry. Antiparos is a brilliant white ensemble, awash with vivid brushstrokes in the deep-blue Aegean Sea. It is a historic place of global interest. Monuments and symbols speak to us of the figures that once lived on the island, creators of the singular Cycladic civilization, creators of its history. Today, thousands of tourists visit the island every year, in order to admire the cave, this rare jewel of Antiparos, and places of archaeological interest, to enjoy the outstanding view that can be found scattered in every corner of our island, the beautiful, clean beaches, picturesque slab-paved alleys, savory traditional food, fresh fish, grilled octopus, local meat, and the magnificent wines and tsikoudia (raki) of Antiparos. For lovers of nightlife there are many bars and discos to choose from. But, above all, one finds warmth, kindness and hospitality on the part of the inhabitants of the island, qualities that guarantee your stay will remain unforgettable. At Neolithic community (dated back to 4000 B.C) was discovered at Saliagos, findings of which can be seen exhibited today at the archaeological museum of Paroikia. At Despotiko which remains today an uninhabited island, opposite Ayios Georgios, many excavations are taking place at the region of Mantra, bringing to the light such great findings archaeologists believe that Despotiko will be declared an Archaeological Park. Located conveniently on the main harbor road, Blue Island Divers have been operating for over 10 years on Antiparos. We know all the best places to visit for both beginners and experienced divers. If you have never been underwater before and want to enjoy the freedom and exhilaration of seeing all those fish close up, or if you’ve already been there, perhaps an underwater cave or a shipwreck will be more for you. Come along and visit us, and have your expectations exceeded. Boats with 30Hp engine do not require boat driving license and cannot sail more than 3 n.m. from the closest coast. From St. Georgio village you can enjoy a boat a trip to the virgin beaches of Despotiko island and the sea caves. From Antiparos port you can enjoy a trip around island by Thiella boat, with ouzo, BBQ and dance. 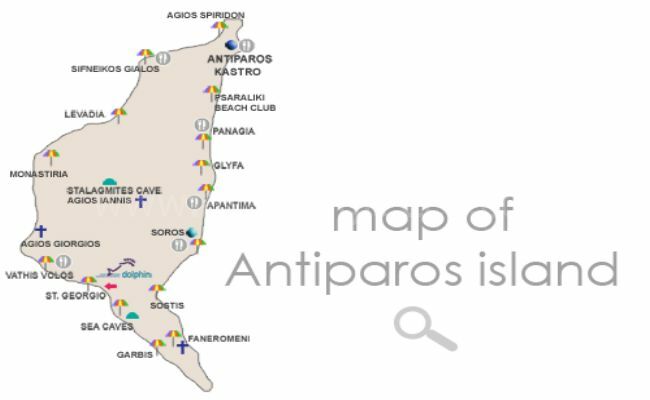 From Antiparos you can visit daily, the islands of Paros, Naxos, Delos, Mykonos, Koufonisi, Santorini. Rent a boat to discover the island-. Rent a boat -Sail Away. 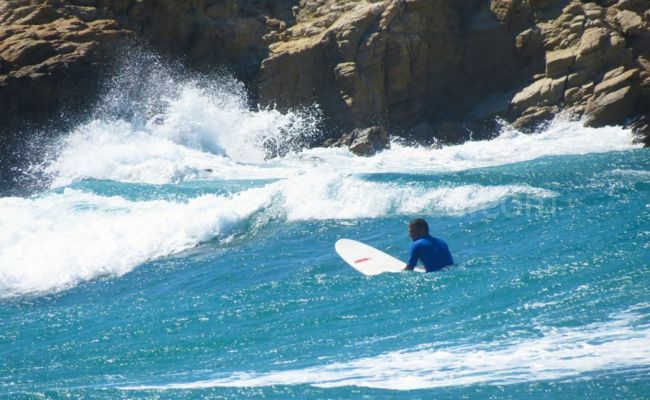 You can find many more activities on Paros island, just five minutes away from Antiparos. Spiridon Beach: The beach is almost the city beach of Antiparos. When you arrive by boat, you can see him north. The beach provides a good, albeit solid sand quality. The water is very flat here for a long time and it takes a quite few minutes until it reaches a certain depth. Therefore, this beach is also ideal for small children. 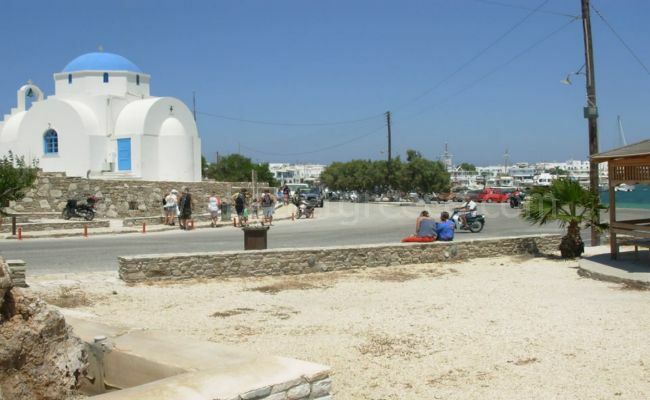 Furthermore, the beach has the advantage that it can be reached quickly from Antiparos town. Some trees spend shade. Psaraliki Beach: The Psaraliki Beach consists of two beaches, which lie side by side. One is called Psaraliki 1 and the other Psaraliki 2. The beaches can be reached easily by foot. Follow the road from Antiparos town to the south, take the first right turn, then turn left and follow the road. The beaches can be called as the main beaches of the island of Antiparos. There are some trees which spend shade and the beach quality is quite good. On the beach, chairs and boats are rented and at Psaraliki 1 is the Fanagi Club, where you can eat and drink. The beach is also well-suited for children, this proofs the many sand castles and other sand objects. Overall, the beaches are quite beautiful and you have a very good view to the island of Paros. Sunset Beach: The Sunset Beach on Antiparos lies west of Antiparos city. The name says it all, you go there for the best view of the sunset on the island. There are restaurants and bars where you can chill out and enjoy the brilliant sunset. Nudist Beach: The nudist beach lies to the north of Antiparos east of the campsite. The beach is characterized by a very good situation and a good beach quality. There are fortunately no sunbeds and shade can be only limited found in the hinterland. Even as a non nudist you can stay here, nudism is not compulsory! 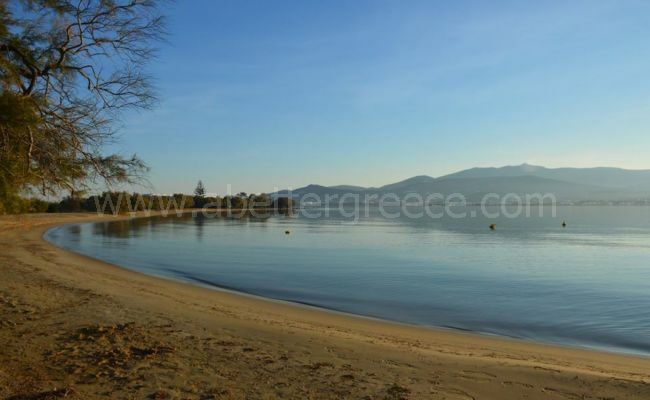 Ayios Georgios beach: Situated in the small holiday settlement of Ayios Georgios, this stunning beach is sheltered in a picturesque bay with a beautiful view to the islet of Despotiko. You can embark on several boat trips to nearby islands or try some local specialties and freshly caught fish at many nearby taverns. This is not an organized beach, so be sure to pack what you need and bring them with you. The famous cave of Antiparos is situated on the south – eastern side of the island on the hill Ayios Ioannis, at the height of 177 meters above sea level. The inhabitants of Antiparos have known about the cave for many centuries, but the inside of the cave remained undiscovered until 1973, when the French ambassador to Constantinople, Marquis de Nouadel who was a lover of antiquity, visited the island. He entered the cave by climbing down ropes and was amazed to find nature’s wonderful creation. Marquis de Nouadel and his escorts lit up the inside of the cave with large candles, oil lamps and dry firewood. As it was the day before Christmas, he decided immediately to perform a mass on the top of a stalagmite, which looked like an altar. When the ceremony was over, they carved a Latin inscription on the stalagmite. This inscription can still be seen today. If we translate it into English, it means «Here Christ himself celebrated the day of his birth in the middle of the night in the year 1973». The cave was visited by the first king and queen of Greece, Othonas and Amalia on the 27th September 1840. However the earliest visitor to the cave is believed to have been Archilochos, a lyrical poet from Paros, who lived from 728 – 650 B.C. The arched entrance to the cave is 20 meters wide and about 8 meters high. The enormous stalagmite which is in the entrance to the cave is the oldest in the whole of Europe and is estimated to be 45 million years old. While descending the 411 steps that lead towards the heart of the cave, which is more than a hundred meters deep, visitors experience a mixture of feelings, such as awe, wonder and emotions which they have not felt before. The area of the cave is about 5600 square meters and the temperature in the winter is about 15 degrees centigrade and the humidity about 65%. The cave was formed of corrosion of the limestone. In the beginning the entrance was formed and then the antechamber and later, with the accumulation and pressure of large amounts of water, the lower part of the cave was opened up. The water which remained inside the caves formed channels and fissures in the earth’s surface. After the water drained out of the cave, the decoration of the cave began in the shape of stalagmites which were formed by a slow dripping from the roof of the cave. It has been estimated that to create one centimeter of a stalagmite, it takes 80 to 120 years. The old way to visit the cave was by boat from the harbor of Antiparos to the beach below the cave and then by foot or on a donkey 200 meters elevation to the cave. The boat ride is really pleasant, but going up to the cave in the hot summer sun was pretty tiring, especially on a donkey. So in 1996 a new road to the cave was opened and it is now possible to reach the cave by car or coach. The cave was renovated in 1995, the steps that used to be quite dangerous are now steady and safe, there are now iron poles that you can hold on to when climbing down the stairs, and the cave is lit up with electricity. There is a shady place to sit and take a break when you enter or exit the cave and the entrance fee is 3 Euros. There is a public bus which will regularly stop at the cave. Also there are buses by tour operators from Antiparos to the cave. From the top of the pedestrian main street, head for the distinctive, giant plane tree of Plateia Ayios Nikolaou. From here, a narrow lane leads to the intriguing remnants of the Venetian Castle of Antiparos, entered through an archway. The castle dates from the 13th to the 16th centuries. The surrounding wall boasts external quirky staircases and balconies while the remains of the central keep is crowned by a stone water tower and clasped round by gnomic churches. There’s a small Folk Museum here also. The capital town of Antiparos is built around a beautiful Venetian kastro, dating from the 15th century. The kastro is built around a tower, of which only the base remains. There are many astonishing sea caves around the island of Antiparos. There is a boat trip, that takes you to visit these caves, which are filled with emerald color waters. The island of Despotico is small and uninhabited now but in ancient times, this island was heavily populated. 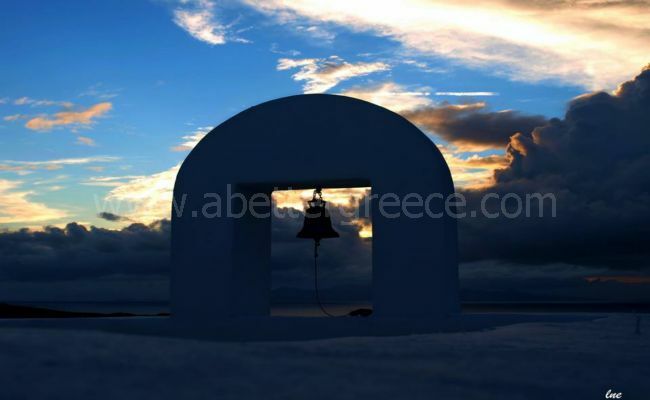 It is located just a short distance south of Antiparos Island in the Greek Cyclades group. Geographically it is in the middle of all the Cycladic islands. Here you will find the excavations are still in progress today. The island is a place of peace and calm with the coast offering small coves and sandy beaches to stop and enjoy. The only inhabitant of the island since ancient times was a goat shepherd who had to leave the island and his home because it was placed on top of the sanctuary. The island of Despotico is one worth exploring on your adventure to Antiparos. Pack a picnic and enjoy the serenity of this beautiful resident of the Cyclades. Antiparos town is the capital of the island. Soros on Antiparos is a small settlement, offering many accommodation options, a mini market and many nice restaurants and taverns. Ayios Georgios on Antiparos is a small holiday settlement, which offers a couple of good accommodation options, as well as one of the best fish taverns on the island “Captain Pipinos”. The story begins Antiparos from Neolithic When using the cave as katafygeio and continues until the Cycladic times when it became aware of a great cultural flowering. Archaeological findings indicate the worship of ancient Greek goddesses in temples, which operated until Roman times. The island of Antiparos 1207 included the Duchy of Naxos’s founder, the Venetian Marco Sanudo military. Since Antiparos provide permanent pins 30 to bunch in galleys of the Duchy . From the 15th century began the tough test of the island by Greek and foreign pirates, who used it as a springboard to the bays of the “Straits of 14 feet, was called as it features the close of Antiparos until they reached the island since the influential Venetian House Loredano of which colonize the island of Antiparos and erected the castle, , which adorned the gate the arms until the 18th century when it collapsed. Then came the House of Pizanias until 1537, when it was captured by Barbarossa until the Turkish occupation and Regeneration, outside the period 1770 to 1774 when it was occupied by the Russians, which removed many of the magnificent stalactite cave Antiparos transferring to Russia the Hermitage. The major catastrophe was in on Antiparos Greek pirates in 1794, when Kefalonians and Mani arrived on the island and plundered, and kidnapping the daughter of the Venetian vice “gkratsioza Francisco”, thus creating an unprecedented wave of anti-Hellenic time in Europe. In 1770 Tornefort Antiparos numbered 78 houses about 200 residents. 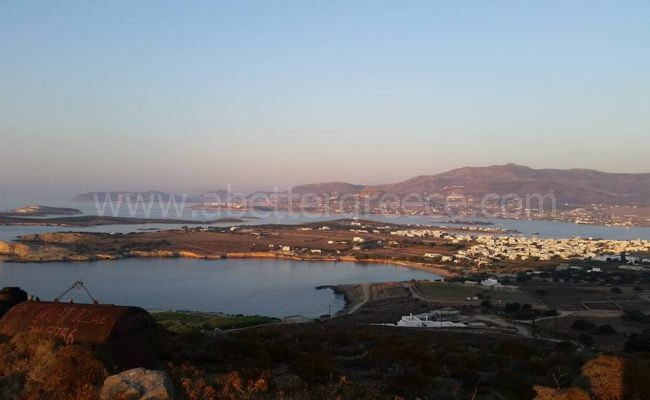 During WWII, the southwestern tip of the island near the A ¨-George, behind the mountain of Antiparos, was used as a secret submarine base and after the war he returned to Antiparos tranquil pace, growing as village. Antiparos was known to the wider Greek public in 1960 and through the Greek cinema, where workshops hosted by Finos Films in the heart of the movie “Madalena” by helping to enhance its natural beauty and historical landscape. Since then, the island became a popular tourist destination for Greek and foreign tourists in the summer and the economy of the town started oriented tourism development. In the 1970s and 1980s, Antiparos has become a popular alternative holiday destination for Europeans nudist remote and sandy beaches, especially the widely known camping, while by the 1990s became aware of a gradual development due to its proximity to Paros by improving its infrastructure to accommodate the growing influx of tourists. Archeological findings: The Isle of Despotiko identified with ancient Prepesintho, according to the extant writings of Strabo and Pliny. The first excavations at Despotiko made in 1889 by Christos Tsountas revealing Cycladic cemeteries. In 1959 Nikos Zafiropoulos began excavations at Zoumparia and Mantra, on the northeast coast, where they were architectural Doric temple from the ancient times, dating to 500 BC. In 1997 began new excavations at Mantra, the archaeologist Yiannos heart, bringing to light much of the ancillary space a sanctuary. The findings of the excavation one elongated building, consisting of five consecutive parallel rooms. In the southern room identified important findings of archaic materials anatolikoionikis, Rhodian, Cypriot and Egyptian origin. In place of the excavations found many marble sculptures States, two archaic kouros head, torso naked male statue, part of the Archaic period perirrantiriou inscribed with the inscription “Marda anethiken. Among the significant findings include the built-square marble altar dedicated to Hestia Isthmus of classical times and which is testimony to one of the deities worshiped in the Cyclades. The legend also indicates local name of the cape which is sacred “Isthmus” and confirm its existence. Investigations revealed an additional five buildings and the excavation continued until today. These findings indicate a widespread cult of Apollo in the Cyclades, and was according to tradition, twenty simple shrines in the region, one of which was that of Despotiko, which survives intact from the 7th century BC when operated by the Roman times. There are regular bus services on Paros that can take you to every village, beach and settlement, but the timetables do not suit everybody’s needs. If you would like to rent a car, a scooter, an ATV or a buggy, we are here to help you! Antiparos is a small island that is located very close to Paros, just a six minute boat ride away from Pounda on Paros or during the summer months a 25 minute boat ride from the main town of Paros Paroikia. Boats leave from Paroikia every hour starting from the 15th of April until the middle of September, this boat is a passenger boat, it does not take vehicles, whereas the little boat that leaves every half an hour from Pounda takes vehicles also. The ticket for a passenger from Pounda to Antiparos costs 1 Euro while a car costs 5 Euros. From Paroikia to Antiparos the price of the ticket is 5 Euros. There is a bus service that takes you from the port of Antiparos to the famous cave of Antiparos and back! There are taxis on the island of Antiparos and they are not that expensive (compared to the rest of the Greek islands). There are also taxi boats on Antiparos that will willing take you around the island or to the surrounding small uninhabited islands.